Up-and-coming, Toronto-based rapper & producer Bobby:. hits us with ‘Whatever Happens’, a chilled out, soulful cut featuring new york artist ‘Hadji Raps’. Not much is known about these two, but be on the lookout for more from them soon. And follow Bobby:. on Soundcloud here. New Jersey rapper Bulletproof Belv‘s new single, ‘My Operation’, is a piece of audio crack. From the fire production, courtesy of Nu Jerzey Hitman, to lyrical comparisons between Belv and Joe Pesci, this track is hot all-round. Look out for Belv’s new mixtape ‘Proof Over Politics’, which is coming soon. Seibin Thorton, better known as Seibin T, drops this new cut, ‘Courageous’. Produced by NOBEEZY, ‘Courageous’ is the first single from his forthcoming EP. Featuring a smooth flow with some even smoother autotune (at least, it sounds like it) and great lyrical content, this is definitely one to listen to. Check out California producer/artist Melotonin‘s soothing instrumental, simply titled ‘I’m Sorry’. You can follow him on Twitter or check out his Soundcloud for more music! 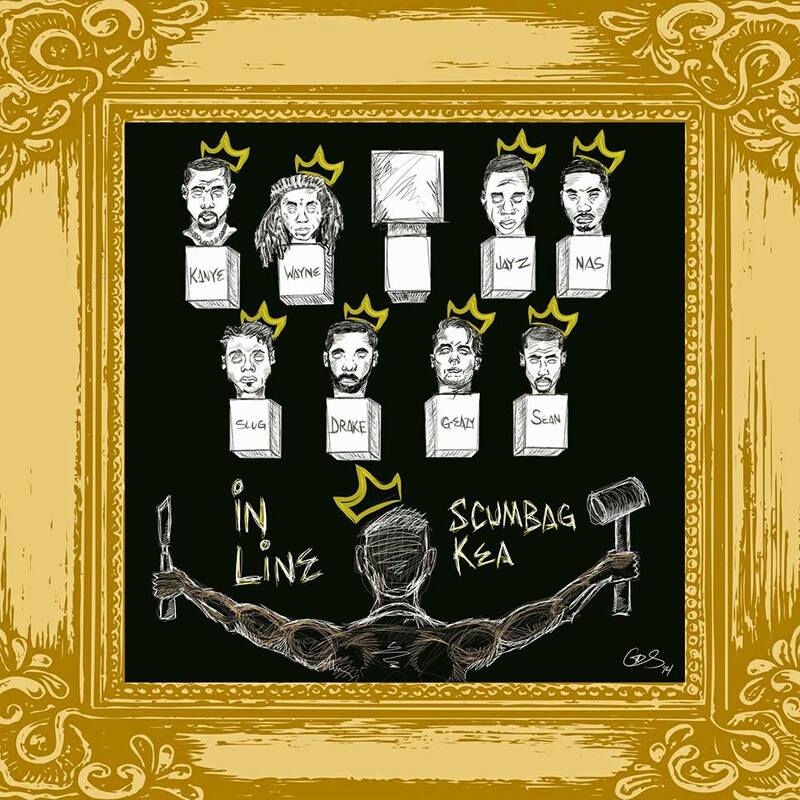 This past week Wisconsin rapper Scumbag Kea released his new album In Line. The 12-track project can be streamed in its entirety below, and all of the album’s Bandcamp proceeds go to Rise Together to support heroin awareness, education and prevention. Hip-hop fans in Milwaukee can check him out at the Cocoon Room (820 E. Locust St.) on Saturday December 20th at 7PM.